Those who use flexographic and gravure printing processes often face difficulties with cleaning their rolls, particularly where high-screen counts are present. The delicate nature of the anilox rolls can often be problematic, so much that printers can even face damage. Here at Alphasonics we have developed a range of cleaning systems that can provide the highest standards of cleaning but are also completely safe to use and will not damage your rolls. There are five machines available for this; Melanie, Mia, Miranda, Megan and Alphaplus. Each machine has a particular focus and provide outstanding results. 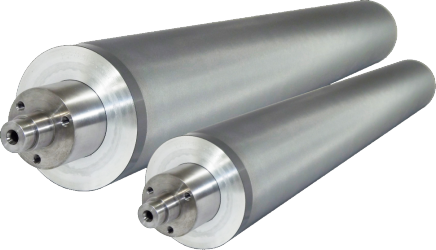 For more information on each of our Anilox rolls/Gravure cylinder cleaning systems, feel free to browse the rest of our site. Flexographic printing is dependent on the quality of digitally produced plates. The only way this process will be effective is if the plates are in perfect condition for every run. Traditional cleaning of these plates can often damage them, resulting in new plates needing to be produced. Alphasonics have developed both the PC and PW series which are non-contact and will leave the plates clean, dry and most importantly undamaged, this leaves them ready for storage or the next print run. If you require any more information on our plate cleaning systems, please browse the rest of our site. We have tirelessly worked for a number of years to develop new ways for the printer to clean chambers, ink trays and other parts effectively while remaining sustainable. By combining the impressive capabilities of Alphasound with the flocculation process, we have brought an impressive range of washers and water recycling to the print industry. All systems are not only simple, safe and easy to use but have unrivalled payback potential. For more information on our AS range, feel free to visit the rest of our website. These devices are specifically designed to completely remove proteins from Surgical Instruments, including daVinci, with several models that comply in full with the HTM 01-01 (2016) guidelines. A variety of additional and complimentary ultrasonic cleaning equipment allows the cleaning of general parts. A huge benefit of this is being able to flocculate the waste of UV ink, water based ink / paint/ varnish-laden water, for re-use or more environmental friendly disposal. Recent trials have shown that our Alphaclean chemicals are far superior when matched with our machinery compared to any other brand products on the market. If you would like any further information on our chemistry and auxiliary machines, browse the rest of our site. 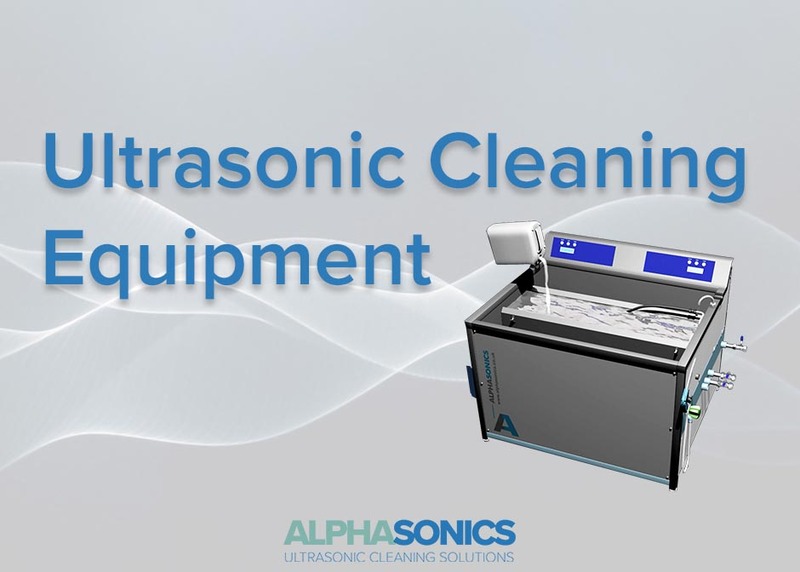 For more information on any of our ultrasonic cleaning equipment, or any of our other featured products then please get in touch with us on 07151 547 3777 or visit our website.